In 1927, the Marines first undertake integrating their air and ground forces in pursuit of the bandit, Augusto Caesar Sandino. Christian Schilt rises from the rank of private first class as a gunner in a biplane searching for German subMarines, to a first lieutenant. He is the Marine Corps's top pilot, earning a Medal of Honor in this final Banana War, and the only one capable of catching the bandit. 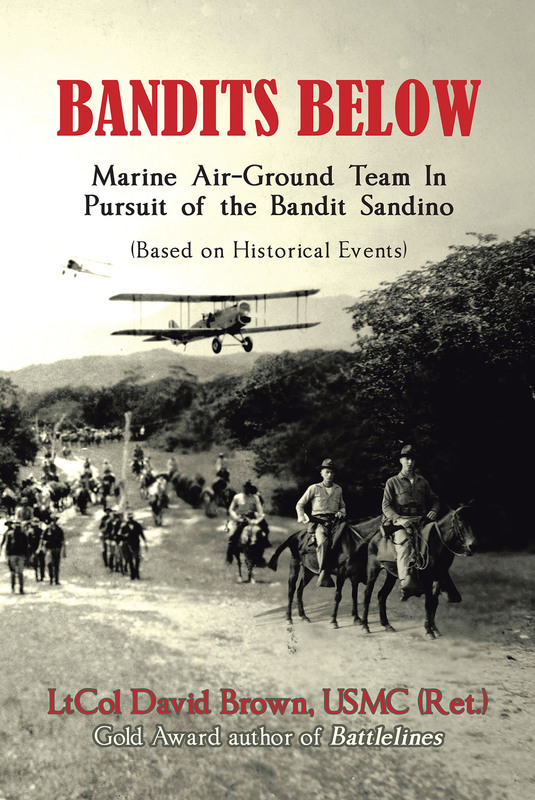 Retold with narrative elements and dialogue, the true story, Bandits Below, brings to life historical accounts of the Marines, battles, and events that played a part in the chase for Sandino.